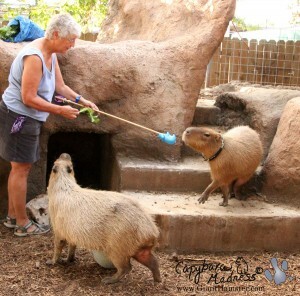 I hope y’all remember little Wesley and Fiona who live at the Snake Farm Zoo in New Braunfels. I’ve been visiting with them ever since Garibaldi Rous died. Fiona is Gari’s little sister and it helps a little to be around her and Wesley. Wesley and Fiona are also part of the ROUS Foundation’s Why Weight? program. 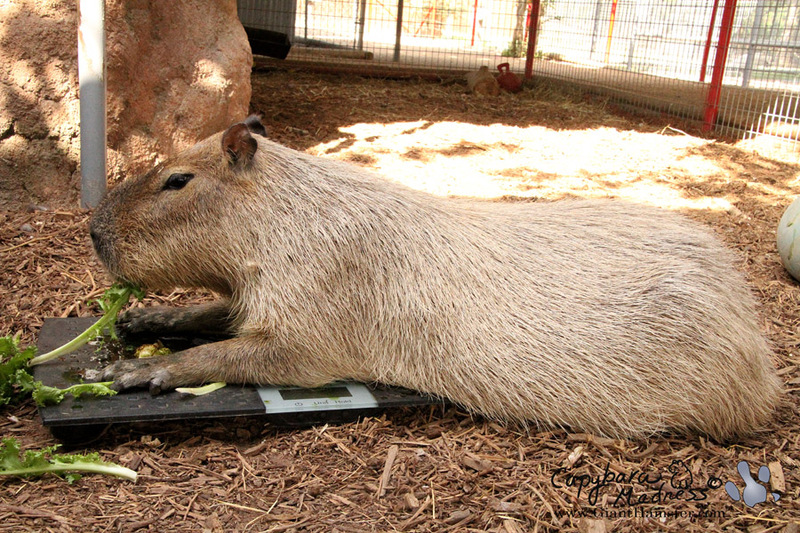 This program seeks to establish capybara health information by studying average weights and weight fluctuations in captive capybaras. 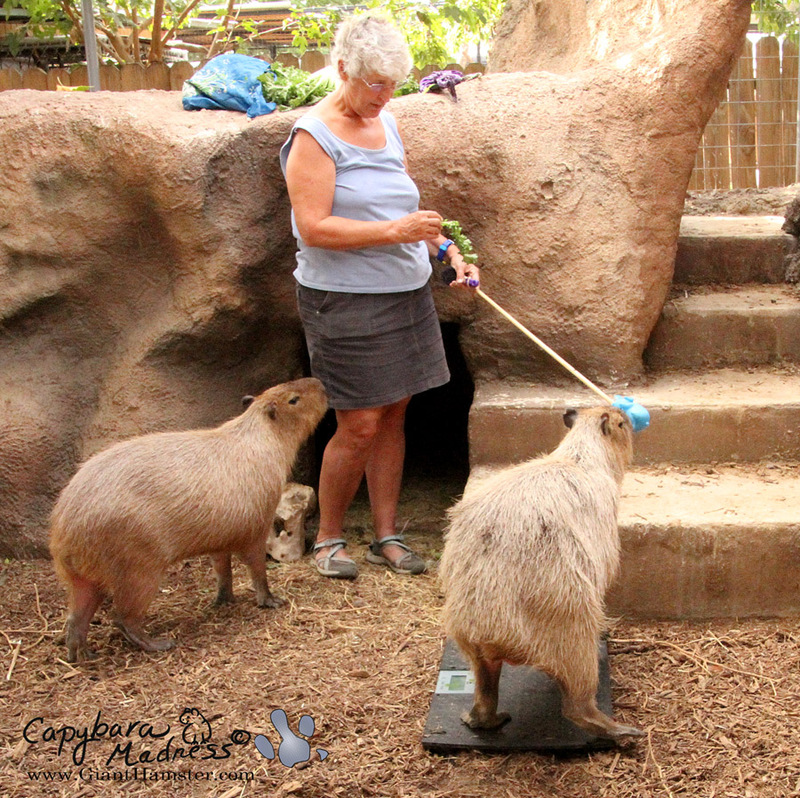 Only it turns out capybaras don’t much like to be weighed and Wesley and Fiona are not exceptions. Even so, Jessica, their caregiver, was able to get initial weights on them back in April. 99 lbs for Fiona and 98 lbs for Wesley. But after that, they refused to get back on the scale. This is where I come in! 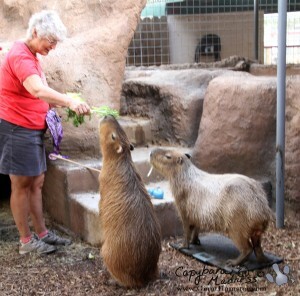 I volunteered to help train the two capys to go on the scale and to be more handleable and comfortable around people. You can imagine what a hardship this was for me! 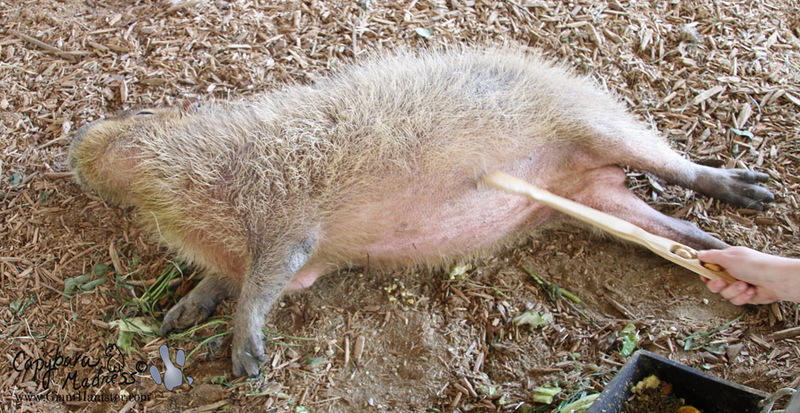 ‘The first thing Wesley learned was that he likes to be scratched. At first he was shy about it and we had to use a back scratcher. He has since warmed up to being scratched by hand. In fact, his fur puffs out the instant he even thinks someone is thinking about scratching him. Someone’s going to scratch me, right? Wesley has very long hair, which is perfect for poofing out to show how serious he is about being scratched. The first thing Fiona learned was to stand up and beg. She is excellent at this. I only showed her how to do it once and ever since them she stands up as soon as she sees food. I decided to work with Wesley on the scale first, mostly because he is a little dominant to Fiona. I used the target technique I learned from Barbara Heidenreich of Good Bird Inc. 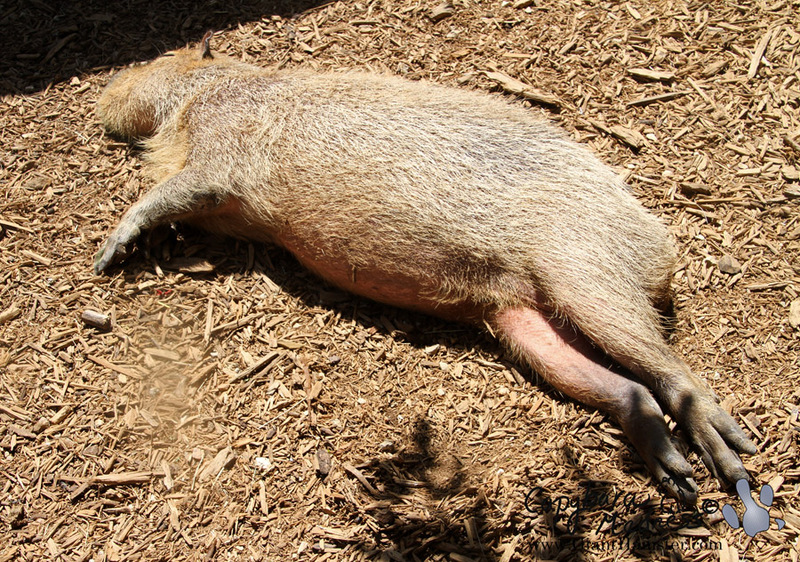 Both Wesley and Fiona took to the target right away, although Fiona was–and is–probably a little better at it. I lost the ball that I used to use for a target and so Rick glued on a blue rubber hippo instead. It still works. I decided to work with Fiona on accepting things around her neck. This is the first step toward harness training. 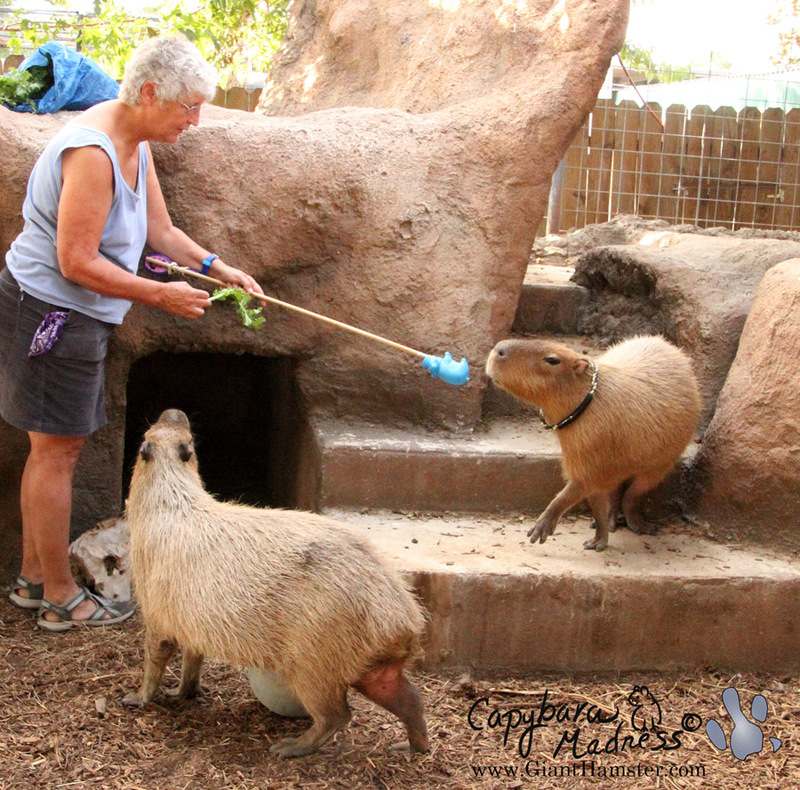 I’d never worked with two capybaras at the same time before. It makes things more than twice as difficult. Fiona is always sneaking up behind me and grabbing food out of my hand. Or I feel really guilty when I look at her and she is standing up, just waiting for a treat. As you can see in the photo above, I was making real progress with Wesley on the scale. So close! The scale has a couple of issues though. The first is that it must be level and all four of its feet must be on solid ground. The second is that it turns itself off after a little while. This last bit means that I have to keep turning it off then immediately turning it back on so that I have the maximum time to try to get Wesley on the scale before it decides to turn itself off again. Wesley became more and more comfortable with the scale. As you can see in the photo above, he began to think of it as a feeding station. 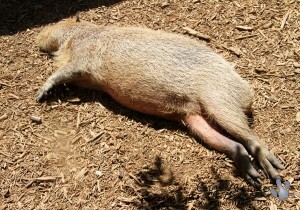 Unfortunately, this lying down position is no good for determining a weight. Finally the day came when Wesley got on the scale! Unfortunately, he only did it for a moment and the scale was not on solid ground. I decided to wait until the next week to get a real reading. 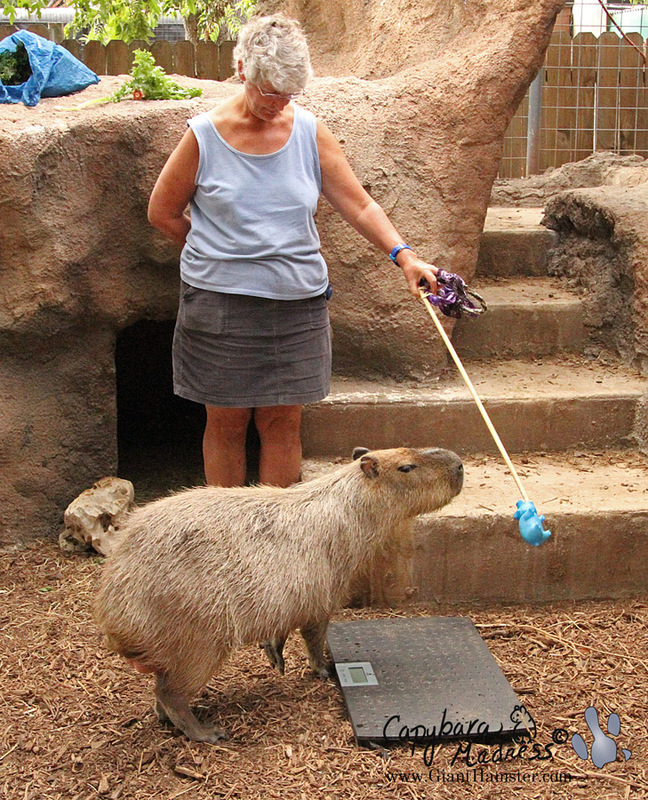 In the meantime, Fiona has really perfected her standing for a treat trick. You can’t just ignore that, it is way too cute. The next week it was no trouble getting Wesley on the scale. 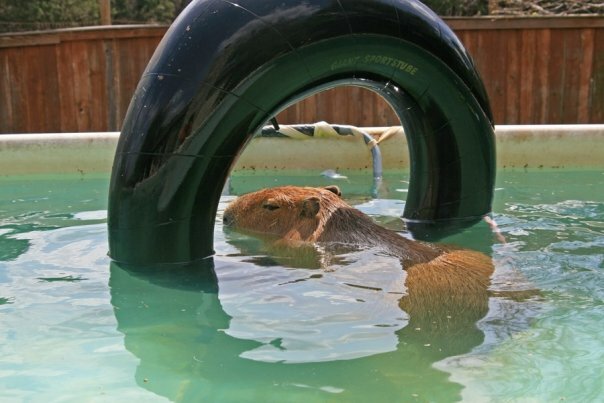 Something snapped in place in his little capy brain and now it seems like he just does it. The amazing thing is that Fiona somehow also learned to get on the scale! Once Wesley would get on it, she also had no problem getting on. Here you can see her weight reading is 100 lbs 4 oz. Good girl, Fiona! 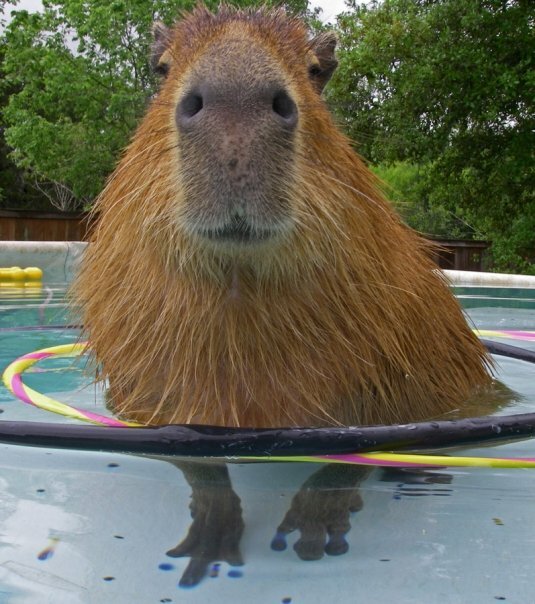 What a smart capybara! 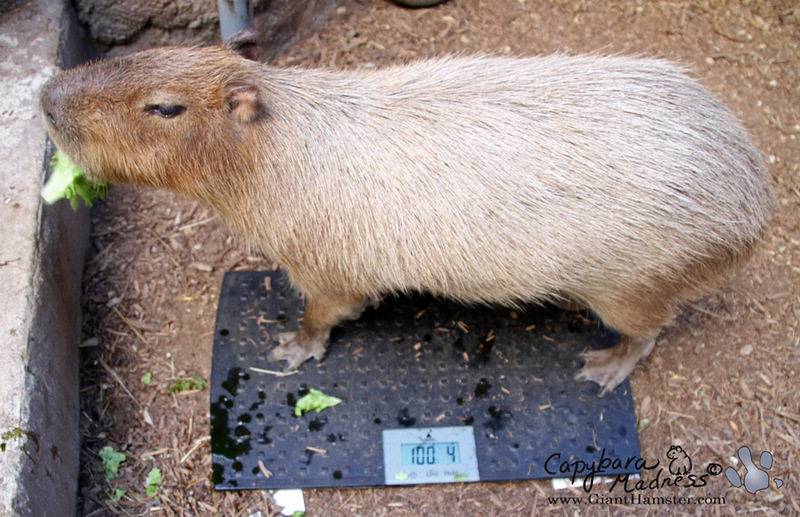 Wesley’s weight came out to 104 lbs plus some ounces but I couldn’t get a reading stable enough to read the ounces. 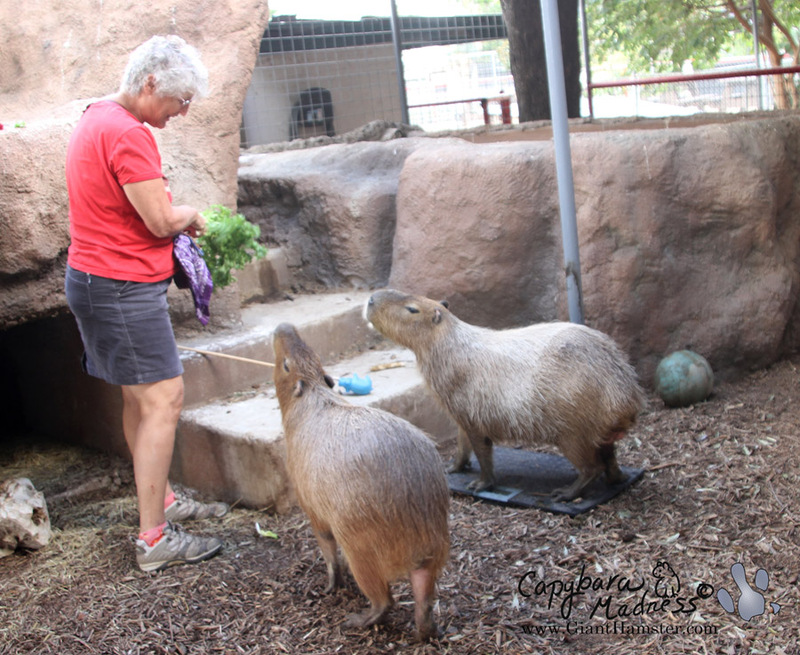 So both capybaras are healthy and happy and we should have no more (or at least not much more) trouble keeping track of their weights in the future. This will help their keepers monitor their health. Hopefully someday when Fiona gets pregnant, they can watch that on the scale also. 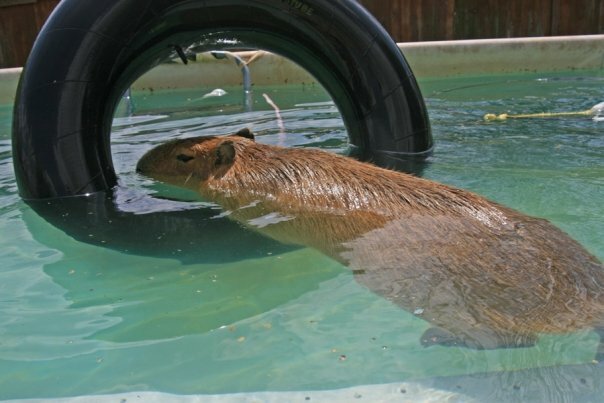 It will be interesting to see if weight gain in a pregnant capybara correlates very closely with the number of offspring. 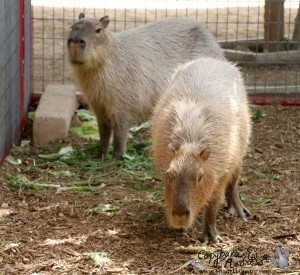 Right now, I am just very, very proud of these two capybaras. Wesley and Fiona, you rock! 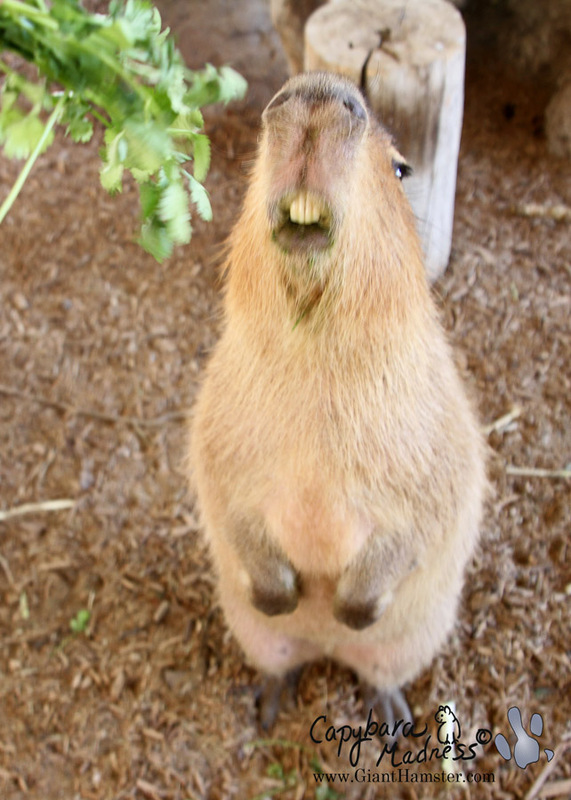 I am so glad you have these capys nearby! And I bet they are happy, too! Fiona is adorable. This was a really informational post. I had no idea cappys could get their fur to go all poofy like that! 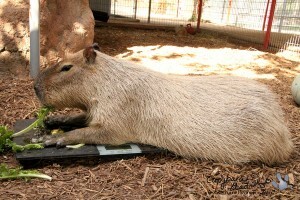 I bet the zoo is thankful for your training the cappys to get weighed & be more comfy about humans. Fiona’s begging is sooo cute.How could anyone resist her? Way to go with getting them to stand on the scale properly, that took a lot of time & patience & with your special cappy skills, you are just the person to do it. Thanks for sharing the process. It was very entertaining, as well as practical. Beautiful ‘bara! What a lovely post. I just wanted to let you know that we really appreciate all of your blog posts and the email updates, but I understand why you need to stop the latter. Wonderful blog and successful outcome of your training. Way to go! This is so sweet Melanie. 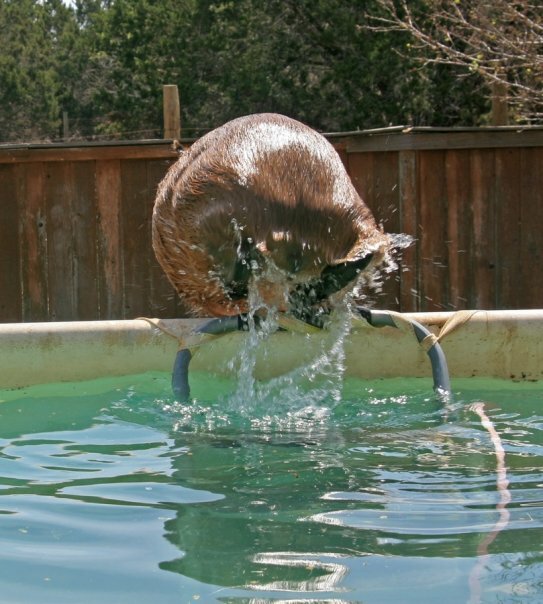 I hope to be able to visit New Braunfels sometime soon! This is so wonderful Melanie. Great work getting these two on the scale and so happy to see you spending time with Capys! I would love to go with you one day on one of your visits. Thank you Melly for all the joy everyone has had in watching Caplin and Gari. Good luck for the future. I love your post..I understand,,,always read them and what a great job you are doing with them. I will miss your posts. 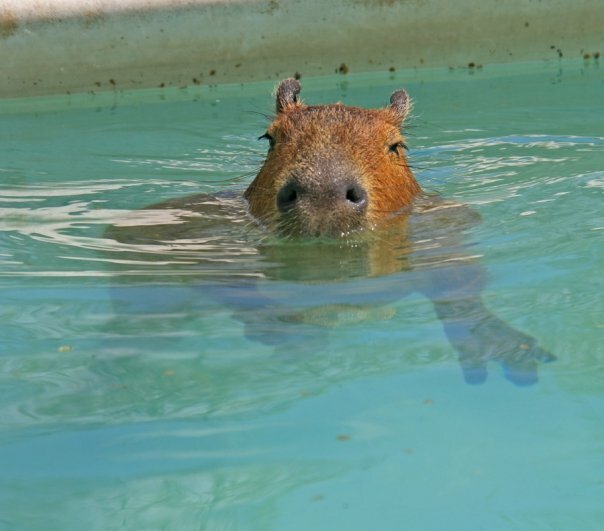 I hope you’ll continue with Face Book to let us know what’s happening in the capybara world. 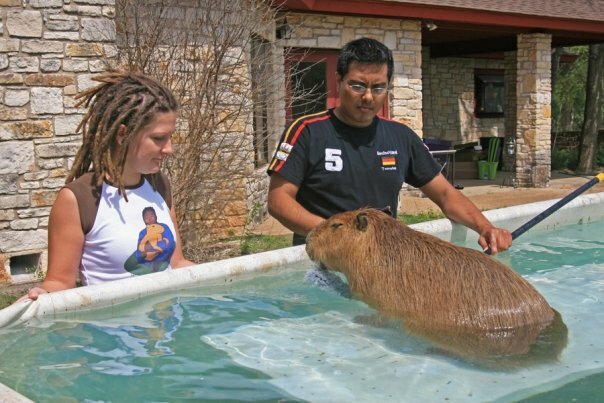 I think you’ve done a great job with capybaras and educating the public about them. They work you are doing now is what guinea pig people were doing years ago to get proper vet care, nutrition and other knowledge out to extend our pets lives. You’ve done so much and I’ve made connections with other animal people that I would have never met otherwise. Thank you for all you’ve done. Thank you for another wonderful post on two fabulous capys. Always looking forward to more! Great story! I’m so glad that you are able to spend some good, quality time with Wesley and Fiona. 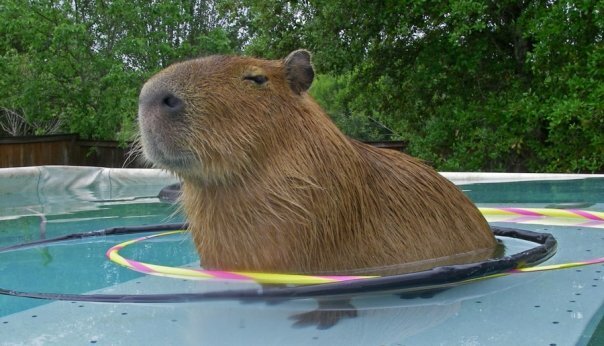 Definitely, a more effective approach is required to weight capybaras. 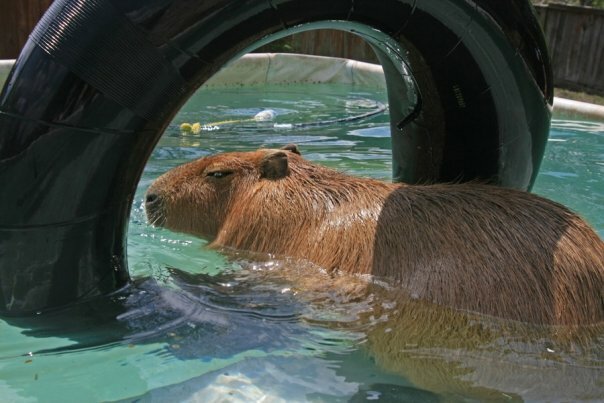 Did anybody think about repeating the Archimedes principle to measure the volume of the water expelled by a capybara in a specifically-designed capybara-weighting pool? That’s an interesting idea. 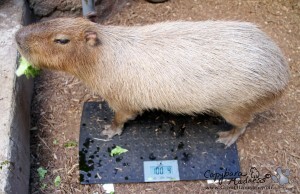 We would still need the weight, but it should be easy to get a capybara volume. hi melly, i am so glad to see you hanging with these cute capys on a regular basis. Another way might be using the luggage-style scales with a hook, in this case you need to put a harness on the capybara, and then measure the weight by pulling the scales upwards along with the capy J. Perhaps, you will require some additional levers to do this, but still it will not be that time-costly. I am not sure, but I think this is safe for the animal. I for one will be checking for new blog posts. 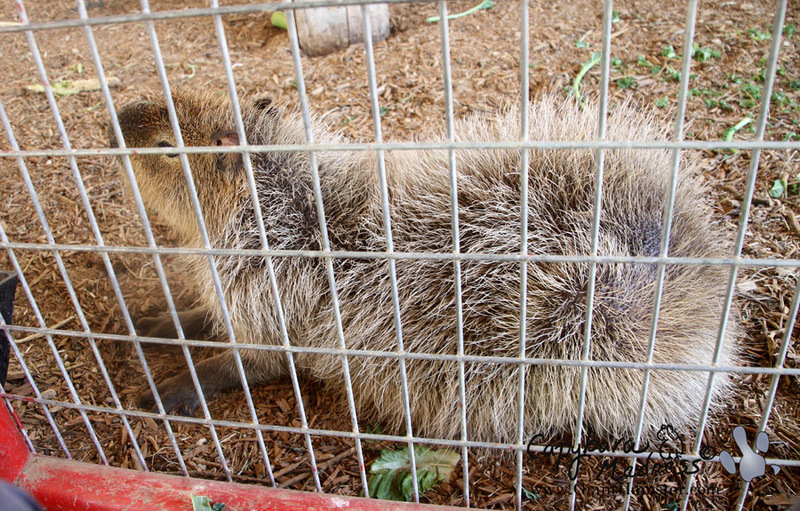 I always direct anyone remotely interested in capys or curious to this website. I will miss your emails … they’re the most interesting emails I get! It’s certainly understandable why you must do what you need to do. I, and many, many others, have enjoyed your emails and website for a long time now. Look at the archives – over seven years of capyiness <3 Please continue to keep us updated on these two fabulous capys, and especially when you bring another capy or two into your family. We will wait for your updates on FB, too. Most importantly, feel better and thank you for what you do!